Home / Blog / Glow live Moon Bombing! 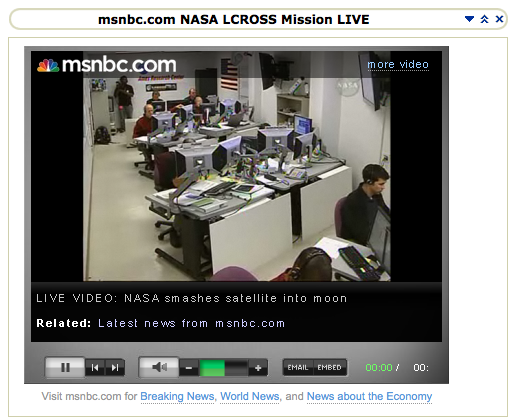 Off sick today, watching the NASA LCROSS mission to find water ice on the Moon. Wondered if I could add the feed from msnbc.com to a Glow Group. It turns out that I could.